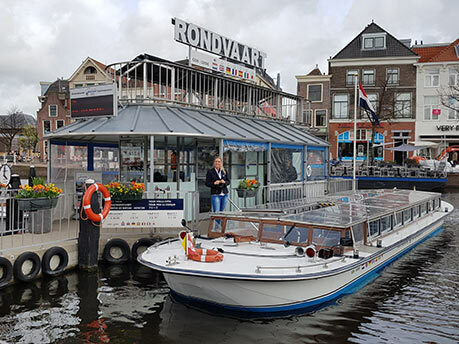 Besides the daily canal trips round the city, the Rembrandt Shipping Company also runs SPECIAL BOAT TRIPS for parties, groups and business outings. Our possibilities are innumerable. 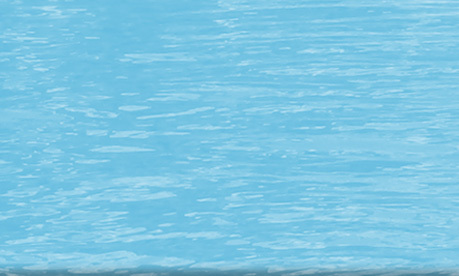 As we work together with a large number of restaurants that are situated on the water, it is possible to experience an all-inclusive day in Leiden. You can also book live music on board via our company. Even on board catering can be arranged for you. 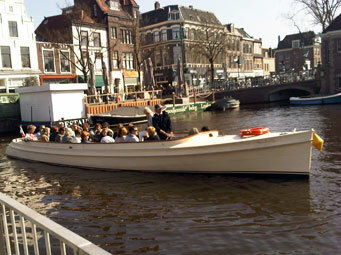 The special arrangements are carried out on the same type of boats that are used for our round the city trips. We are not just restricted to beautiful Leiden for the trips that we can offer you, which you can read about in our page about the canal trip around the city. So it is also possible to sail to the Kager Lakes or in the direction of Voorschoten (Vlietlanden), Warmond and Wassenaar or further afield. 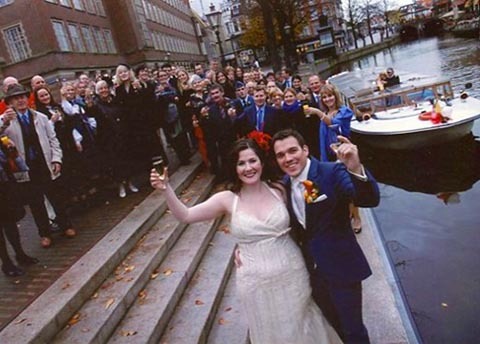 One of our speciality arrangements is the WEDDING PARTY TRIP. 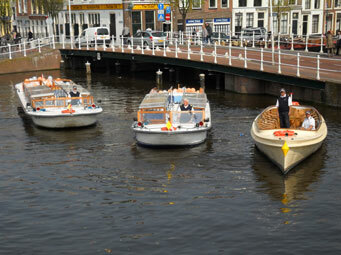 We offer the possibility of sailing the bridal couple, in the company of family and friends, to and from Leiden Town Hall. Where the trip begins and ends, which route is going to be taken, everything can be arranged in consultation. As Leiden and surroundings have a number of well-established restaurants that are easily reached by boat, you are spoilt for choice. Rembrandt Shipping Company also has a few fixed arrangements together with Paviljoen de Catwalk and Mangerie De Jonge Koekop.